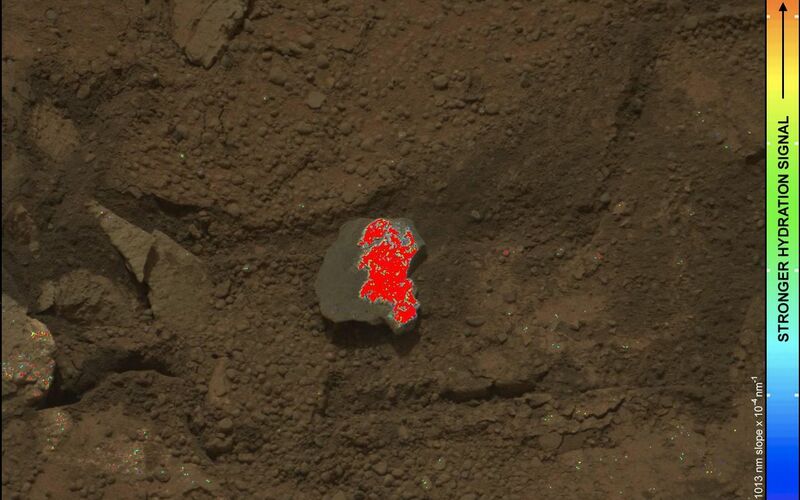 On this image of the broken rock called "Tintina," color coding maps the amount of mineral hydration indicated by a ratio of near-infrared reflectance intensities measured by the Mast Camera (Mastcam) on NASA's Mars rover Curiosity. The color scale on the right shows the assignment of colors for relative strength of the calculated signal for hydration. The map shows a strong signal for hydration is associated with the surface that was exposed when the rock was broken by the rover driving over it. 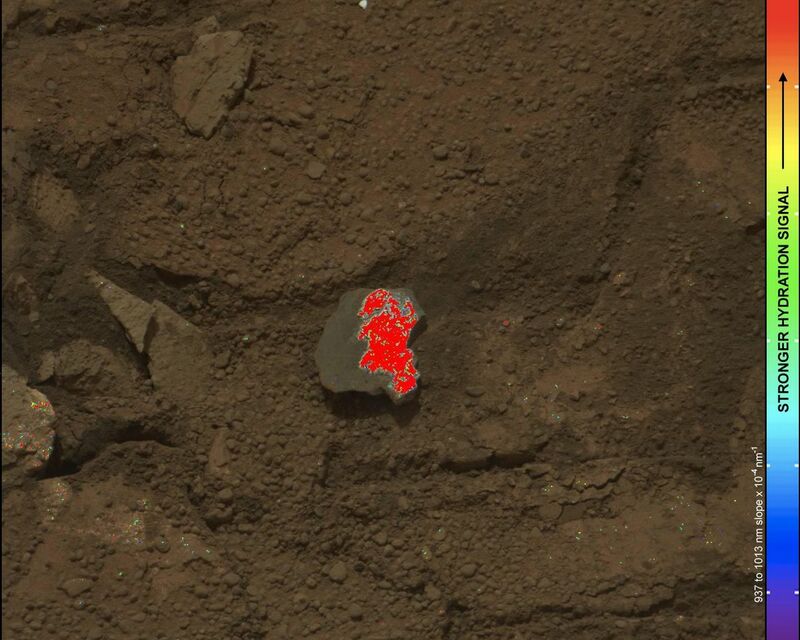 That freshly exposed surface displays a bright material that may be the same as similarly bright material filling pale veins in the nearby bedrock of the "Yellowknife Bay" area. 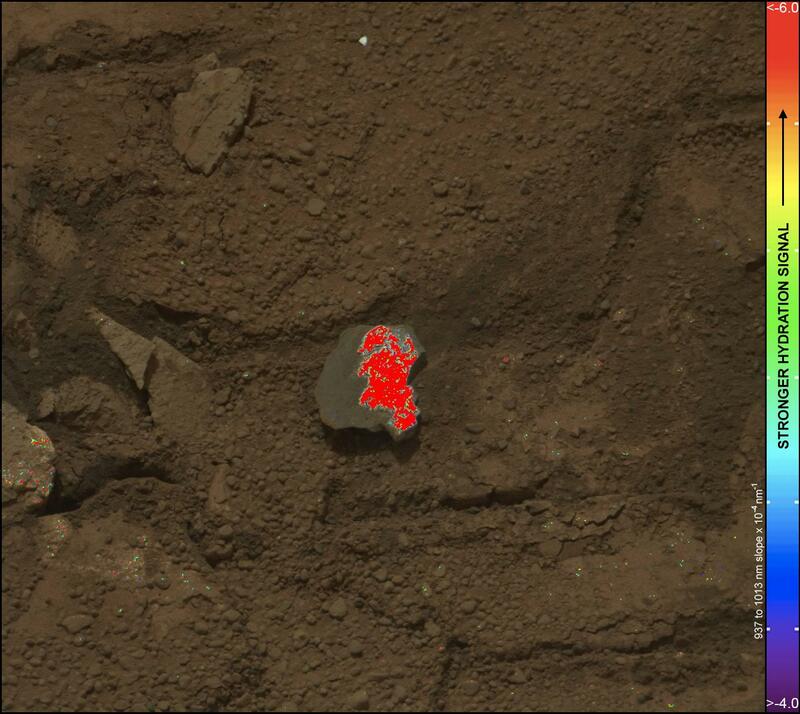 The size of the rock is roughly 1.2 inches by 1.6 inches (3 centimeters by 4 centimeters). 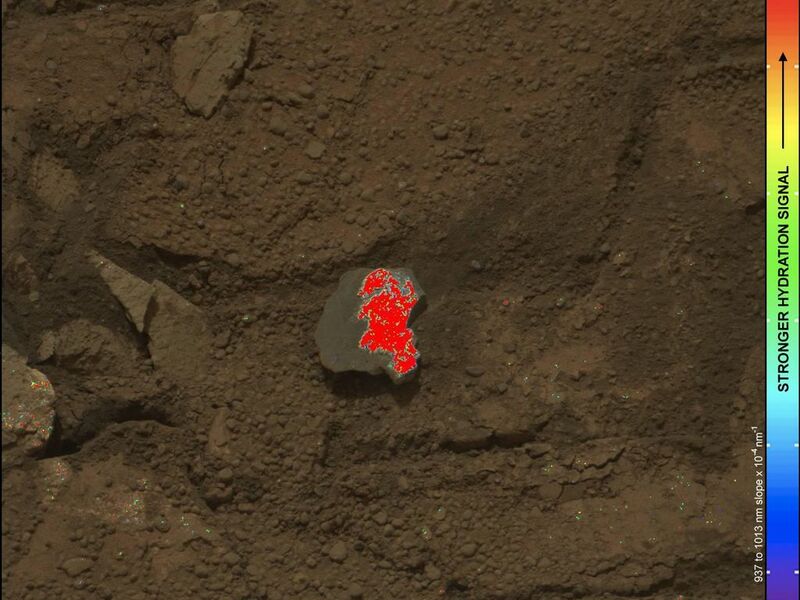 This image is a Mastcam observation of Tintina during the 160th Martian day, or sol, of the rover's work on Mars (Jan. 17, 2013). The spectral data for assessing hydration come from Mastcam observations through a series of narrow-waveband filters on Sol 162 (Jan. 19, 2013).